Chinese "Tower Ship", from the 1510 edition of a text of 1044. An illustration from "Science and Civilisation in China". Justin Keating, academic, politician and former Minister, will be talking to us about a fascinating person who was an internationally renowned polymath, and a lover of China and of all things Chinese. Needham’s extensive research into the history of Chinese science and technology culminated in his initiation of the massive multi-volume "Science and Civilisation in China" project, which is still continuing after his death. There is a remarkable human story behind the industrious scholarship, as revealed in the recently-published biography "The Man Who Loved China", by Simon Winchester. 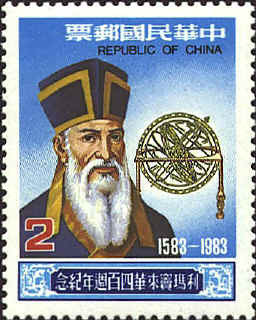 In the 16th and 17th centuries the Jesuits working in China, led by Matteo Ricci, were mostly scientists and scholars as well as priests. They studied Chinese culture and adapted their missionary activities to it. Their influence was great at the Imperial Court where they were treated as valuable advisors. Father Todd will tell us about their activities in many spheres and the extraordinary influence which they had. Fr Morrissey is the author of a recently-published book about the work of the Jesuit missionaries in Asia. Tao Kiang, that two-cultures, two-civilisations man who has given the Society so much over many years, will tonight tell us about the Confucian Humanism which he sees developing in modern China. "The Beijing 2008 Olympiad is one spectacular facet of the emergence of China. Some may be more impressed by China's coolness when the west seems to be panicking at the present economic downturn. 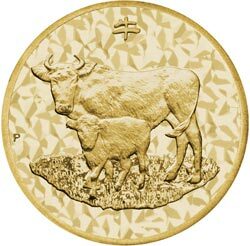 But the real change is in the Chinese people's psyche: after 150 years of self-doubt, at last they have regained their confidence, their sense of mission for the whole mankind based on humanism, for the future of world civilization." After their recent Youxie-sponsored visit to Sichuan and Henan, some of the ICCS delegation went on, under their own steam, to visit the extraordinary and delightful World Heritage Site of Chengde in Hebei. In the 18th century the elaborate resort was developed with its eight outer temples and hundreds of other temples in the hills around. 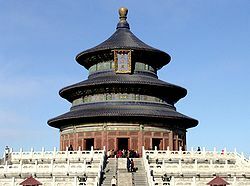 Many are miniature replicas of other famous temples around China, including a miniature Potala which houses an active Tibetan Buddhist community. The travellers hope that they will be able to persuade you to include Chengde in your next Chinese trip.